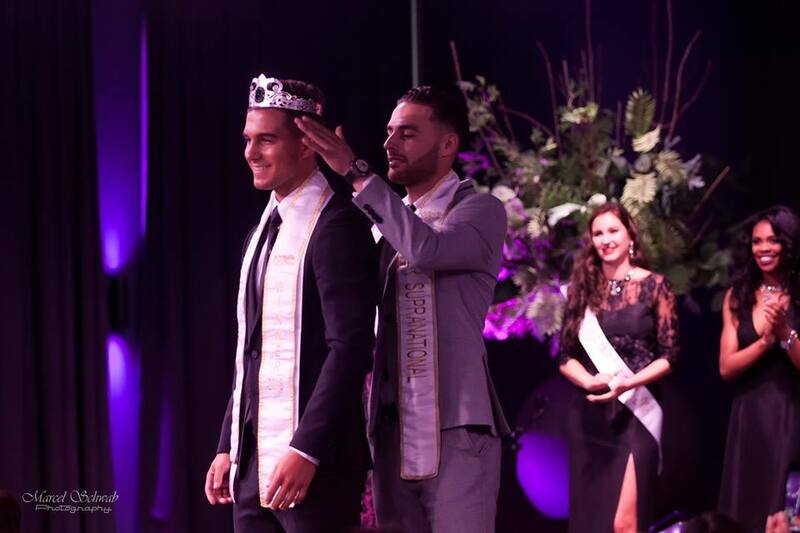 On the 12 Months of beauty 2018 event, Ennio Fafieanie was crowned Mister 12 Months of Beauty 2018, and therefor won the ticket to represent the Netherlands at Mister Supranational 2018 in Poland on december 8th. Mister Supranational will be held for the 3rd time and the Netherlands have been represented in all editions so far. 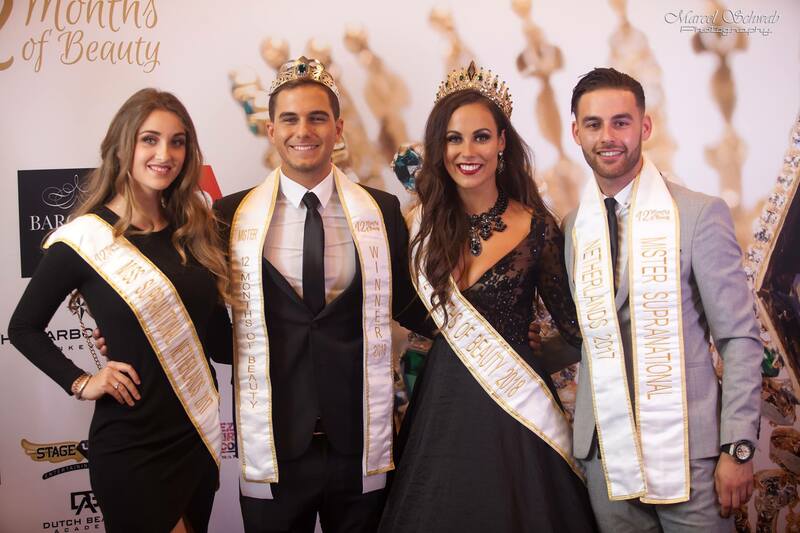 At the 12 Months of Beauty 2018 event Ennio was crowned by Ferdi Caglayan, Mister Supranational Netherlands 2017. Also present was Mister Supranational 2016, Rico Mallee. For Ennio this was his first pageant, and he is very exited to represent his country at a grand slam male pageant. Ennio lives in the province of Drenthe, where it all started for Robin and Stefan, with Miss Drenthe 2011 for miss Nederland 2011. But who is Ennio? We asked him 10 questions. Ennio is a 20 year old male from The Netherlands who loves to be active and outdoors. When and why did you enter the world of beauty-Pageants? I entered the world of beauty-pageants at the beginning of this year. I had been tagged in a message on Facebook and I thought:”This could be a dream come true. I have nothing to lose. Lets do this.” And now I am getting ready to represent The Netherlands at Mister Supranational 2018. 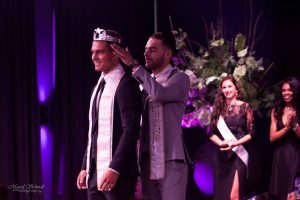 What was your reaction and what were you thinking when you won the Mister 12 Months of Beauty and with that the right to represent the Netherlands at the Mister Supranational 2018? I did not know what to think… I was so proud. And so thankful that my hard work payed of!! How are you preparing for the international pageant? What part do you need to work on the most? Robin and Stefan, my national directors, help me training on my pitch and all the things I have to do.. I also have a personal coach, Brian, and he is helping me getting my body ready for the pageant. I want to keep working hard on everything. So I know that when I am standing on stage I can give my absolute best. What will you tell the other guys about the Netherlands, that makes you proud of your country? There is so much to tell about my beautiful country. The people are so down to earth and kind. The culture is so rich, people from all over the world, live here. And there is so much to do: From seeing windmills and going to one of our islands, to going out in one of our many cities. What makes you a typical dutch man and what makes you a supranational man? What makes me a typical dutch man is that I am very down to earth and I work hard to achieve my goal. I think that those things also make me a supranational man. How can a mister be a role model for young people? What role model will you be for dutch young men? A mister is able to motivate people to work hard towards their goals and things they want to achieve in life. As a kid, I have been bullied for years. They made me feel like I could not achieve anything in my live. My parents motivated me and said that I have to prove them wrong. I listened to them. Now I have the honor to represent my country.. As a mister I want to be the person who motivates people who are in that situation by showing them that, if you are willing to work hard, you can achieve anything! Your organization is 12 Months of Beauty, What is beauty for you and how will you make that possible all year round? Beauty for me is not only how a person looks from the outside. Beauty is also helping people and being kind to others. Thats true beauty for me. What’s your life’s motto and how do you live by it? Life isn’t about finding yourself. Life is about creating yourself. I worked hard for all the things I achieved today. And they made me the person I am today. And I always want to keep learning to become a better me. How about Ennio in 10 years? I don’t know what the future will bring me. As long as I am happy and surrounded with people that I love. I am going to work hard in my life and we’ll see what it will bring me. Thank you Ennio for this lovely interview. We wish you all the best with the preparations and the finals in december.